Personalised Wake Duh Fuh Cup Mug. 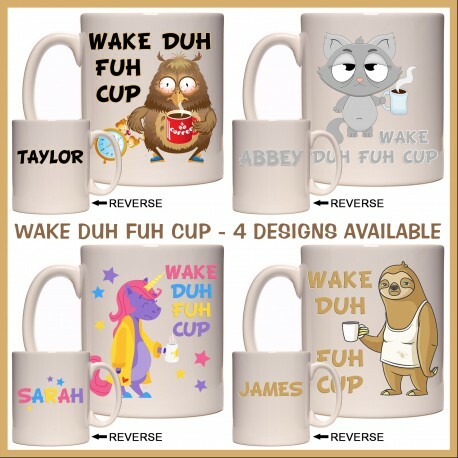 These Ceramic Wake Duh Fuh Cup Mugs will be a big hit with anyone. 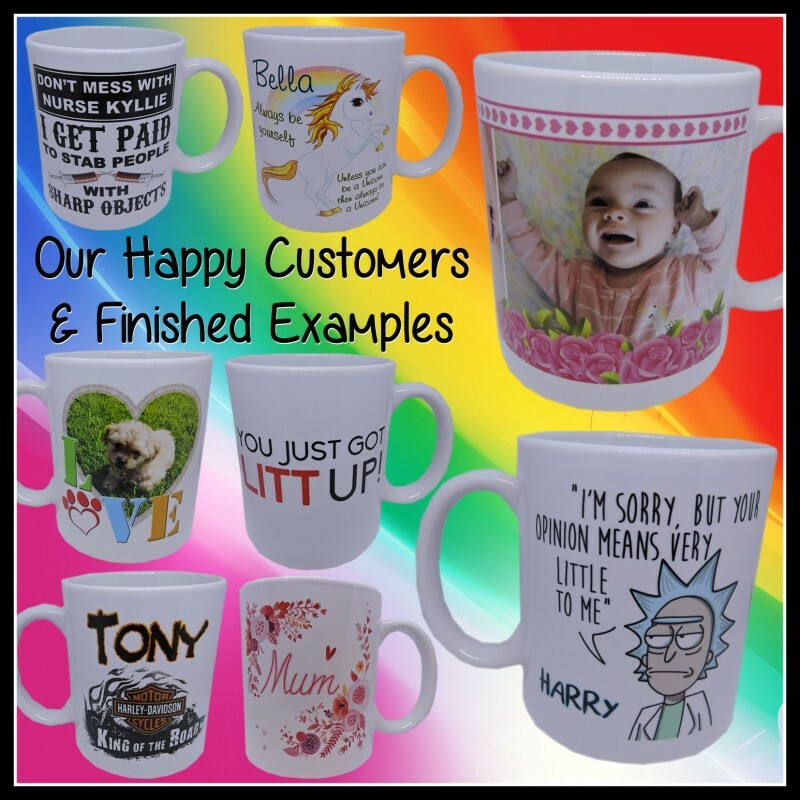 Choose which design you want. 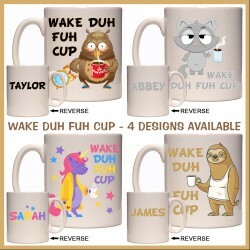 Side one of your mug will have the Wake Duh Fuh Cup design of your choice. The second side has a personalised Name or Message. If you do not want a name added, you can request to have the design on both sides instead. 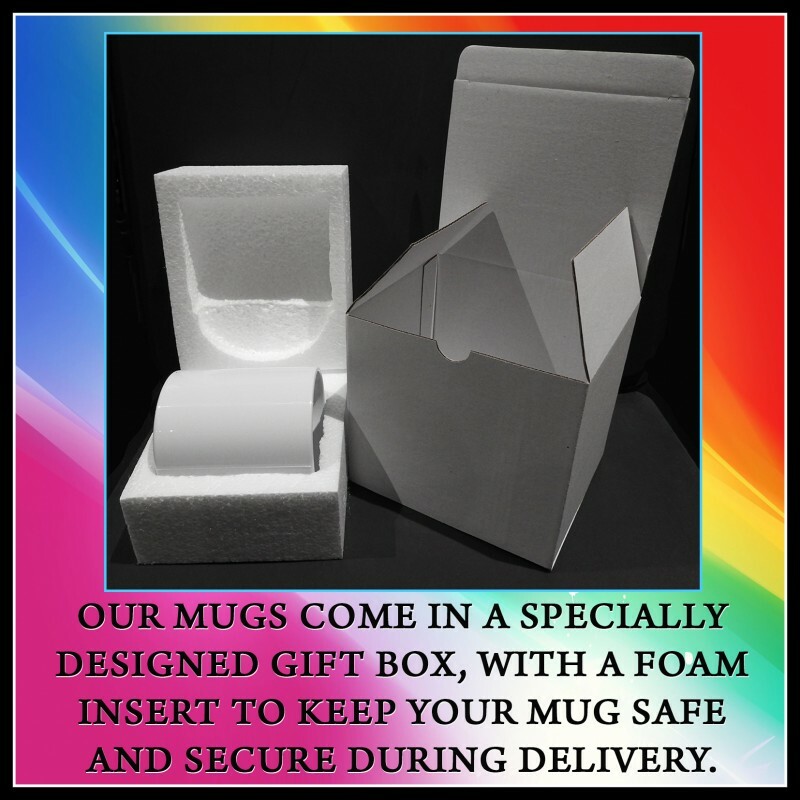 Scroll back up and choose the design number you would like on your mug from the drop-down menus.